Possibility to spend the night at Nagoya Centrair airport (NGO), if open 24 hours. Services available, places to rest (free resting zones), or look for the list of nearby hotels and vip lounges.. The only places that are open around the clock are the International Arrivals Hall and the Access Plaza. The rest of the airport closes between 11:30 pm and 5:20 am. Have headphones, earplugs and a sleeping mask for a better rest. Where to rest: In the Arrivals Hall of the terminal there are long and comfortable benches where you can lay down. 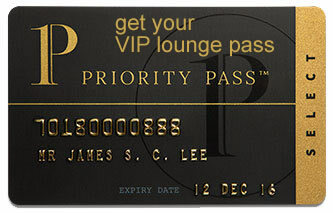 There are also a few VIP lounges with more amenities and privacy, although they close at night. SEE VIP LOUNGES Inside the airport's island there are three hotels. Baggage: Inside the enclosure there are both lockers and luggage storage offices. Eating and drinking: Although eateries close at night, there are some minimarkets that open 24 hours a day. Restrooms: Showers at the airport's bathhouse. Other services available around the clock: ATMs, convenience stores, baby changing facilities, children's play areas. Inside the island where the airport is located there are three hotels: Centrair Hotel (Tel +81 569 381 111), Comfort Hotel Central International Airport (Tel +81 569 387 211) and Toyoko Inn Chubu International Airport (Tel +81 569 380 045). Other options nearby include: J-Hotel Rinku (Tel +81 569 388 320), Spring Sunny Hotel Nagoya Tokoname (Tel +81 569 361 600), Hotel Route-Inn Tokoname Ekimae (Tel +81 569 363 511), Hotel Milago Chubu Airport (Tel +81 569 479 600), AZ Inn Handa Inter (Tel +81 569 213 388), First Hotel Taketoyo (Tel +81 569 738 000), Hotel Mezzo (Tel +81 569 263 888).